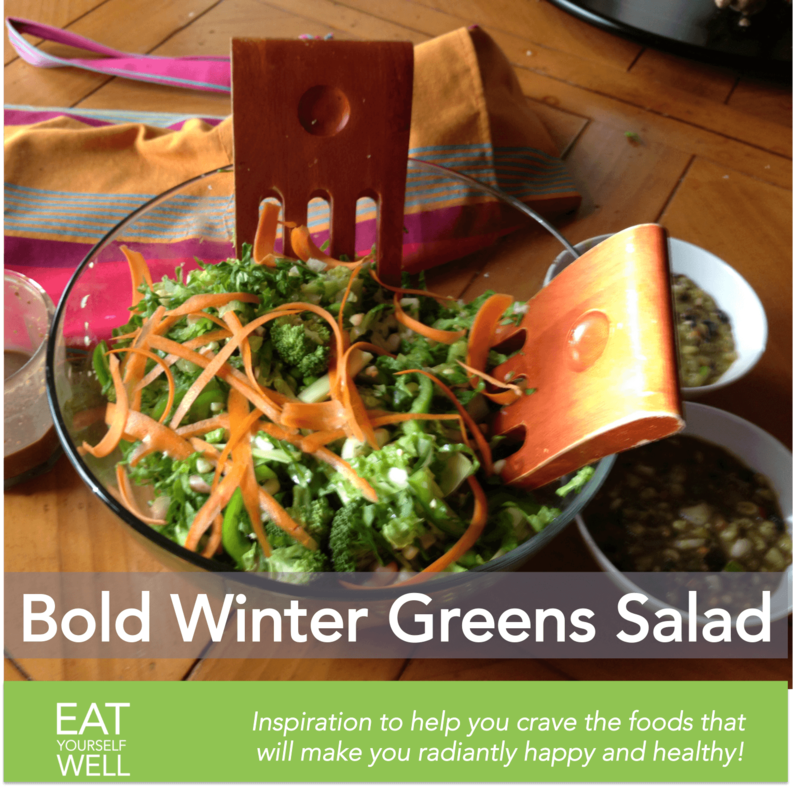 This bold winter salad pairs well with hearty but simple winter soups like white bean, or veggie chilis. I usually find myself going back for second and third helpings – and it actually holds well in the fridge as well – so I make a LOT of this salad at a time. Mix all dressing ingredients in a mason jar or similar, shake well, and sit aside to let flavors blend. Salt can be reduced a bit if needed, but not eliminated entirely, or the ingredients will not mix properly. Chop all vegetables per ingredient instructions. This salad is MUCH better if the thicker greens, like collard and kale, are properly prepared by being thinly sliced! Place all veggies in a large bowl, and toss with about half of the dressing. Let sit for at least 15 minutes, and then serve with remaining dressing added to taste. Top with walnuts, if desired.